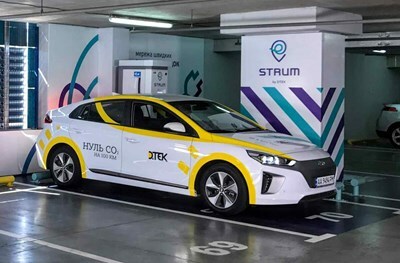 Registration, top-up & charging via 'STRUM Charging' mobile app (iOS/Android), at least 25.00 kWh must be available on the account at the start of each charging session. 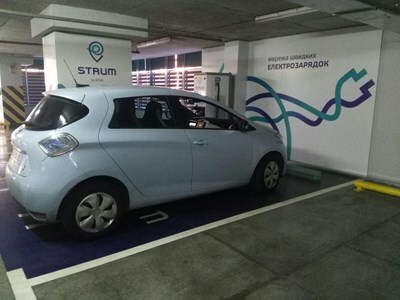 Additional cost of parking - from 07:00 to 23:00 is 20 UAH / 30 minutes, at night from 23:00 to 07:00 is 15 UAH / 30 minutes, leaving in first 14 minutes is free. Parking is free for 1 hour with STRUM card. You can book your STRUM card only after registrartion & top-up by sending request to support.strum@dtek.com. Payment is on exit from parking. You pay only for kWh, no fees for time or session. 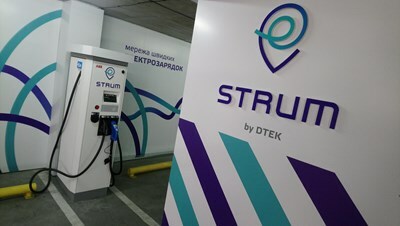 Price during top up is 9 UAH/KWH (≈ 0.3 €/KWH). While charging on CHAdeMO/CCS, 1 KWH is taken away for each 1 kWh of charging. 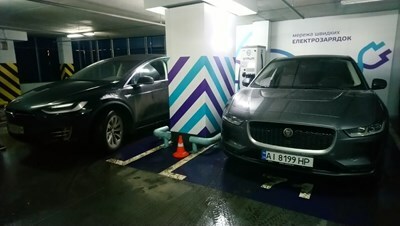 While charging on Type2, 0.5 KWH is taken away for each 1 kWh of charging (half price). Actual prices at http://strum.dtek.com/en/prices/. 24h access, excluding technical break from 23:50 till 00:10, the entrance & leaving can not be performed. Entrance is on the left side of the building. Charger is on third floor, parking lots № 70-71.